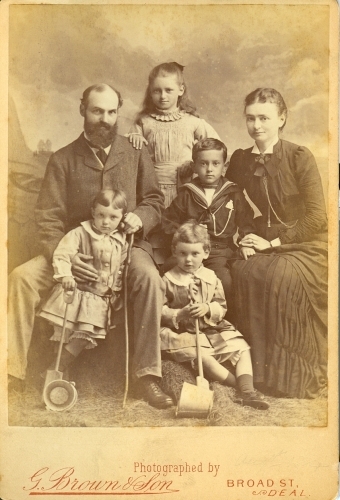 Does your school assign a family history project to your students? Many schools teach students how to research their family histories around the time of their bar/bat mitzvah. For some families the research is relatively simple, since they have many letters and photographs for students to begin their search with. Many others don’t know where to start. The internet offers many great places to conduct a genealogical if you know where to look. Here are just a few of the many genealogy and family history sites that are out there. An Annotated Guide to Jewish Genealogy and Oral History Websites (The Lookstein Center for Jewish Education) — This page is particularly valuable for its resources on creating oral histories as part of genealogical research. Avotaynu — Publishes books, journals and other research guides (for purchase). Jewish Family History Collection (Ancestry.com) — This is a partnership with Ancestry, JewishGen, The American Joint Distribution Committee and other organization. Researchers may focus their search in America, Europe, or from the Holocaust period. JewishGen — A project of the Museum of Jewish Heritage, this site offers many databases including: Family Finder; Family Trees; Town Finder; Holocaust Database, and more. Jewish Genealogical Portal: A Guide to Jewish Projects and Resources on Geni — This page links to other Jewish pages on Geni, and offers links to many resources organized by geographic region. It also invites researchers to collaborate online with others. Sephardim.com — Databases and research advice specific to those researching Sephardi and Mizrachi ancestry. Family History Research at YIVO — Includes links to other pages at the YIVO website. In Our Own Voices: Conducting Life History Interviews with American Jewish Women — This is a “how to” guide produced by the Jewish Women’s Archive. While it’s target audience is American Jewish women, the tools it teachers are applicable for any family history project. Available as a free download. Museum of Family History — A “virtual museum” with exhibitions, educational resources, and an extensive page of links to other sites on genealogy and family history. Cyndis List of Genealogy Standards and Guidelines — Provides links to genealogical societies, as well as how to guides for doing research. 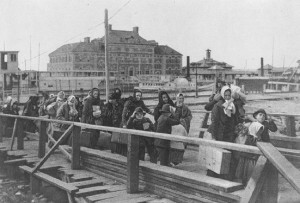 Ellis Island Foundation — Search names of immigrant ancestors who came through Ellis Island as steerage or third-class passengers (see Ellis Island-History) between 1892 and 1924. Heritage Quest — database that is a division of ProQuest and may be available through school or local libraries. Students may search census records up to 1940, books, and many other databases. National Archives and Records Administration Resources for Genealogists — NARA offers research tools and tips, genealogy workshops around the country, and now features the 1940 census online. One-Stop Web Pages (for ancestry research) — Stephen Morse has created short forms for researching the databases at Ellis Island and many other ports of entry. He also offers tools for using census records, old phone books and other public records. Vital Records Search (by state) – Information on how and where to write to state officials to obtain birth, marriage, death and other vital records.